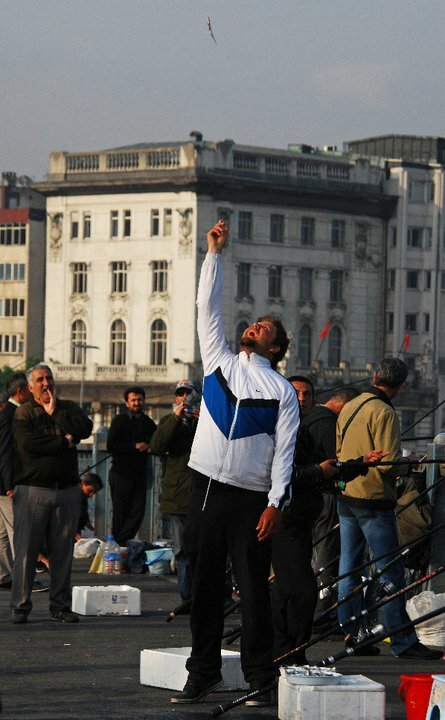 In 2011, I traveled to Turkey on assignment and was fortunate enough to spend five days in Istanbul. I love Middle Eastern and Mediterranean cooking, and I’m a history nerd – I was excited as hummus hopped up with poppy seeds. When I was planning my feeding (both oral and Ottoman education) strategy, I figured to spend most of my time in Sultanahmet, the old district – why would I bother crossing the Golden Horn to the modern half of the city? Wouldn’t it be just like any other contemporary urban center? But Turkish-American friends like Leyla and Turkey aficionado Robyn Eckhardt urged me not to miss soulful neighborhoods such as Cihangir and Istiklal, and after getting suffocated by cruise shiploads of pasty tourists with umbrellas, unwieldy camera-clad hands and high crew socks stuffed into sandals, I finally escaped across the Galata Bridge. And like everyone else who live, work and play in that part of town, I never looked back. I took the steepest route up Galata hill so I had an excuse to stop for cookies at Konat Patisserie. 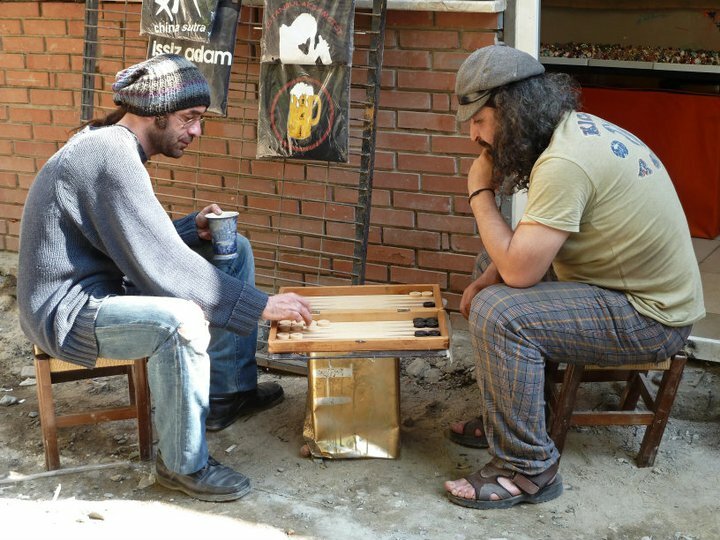 Around Galatasaray, which would be like Greenwich Village when it was spelled C-B-G-B, it became clear to me what the hordes in Sultanahmet obscured – Turkish life is about congregating wherever there’s a platform (backgammon board balanced on a wooden crate, rickety cafe table that the rumble of an oncoming tram might tip over, gentleman in a natty three-piece suit leaning over to tell you his life story – uninvited, but enchanting) and whenever (all the time). 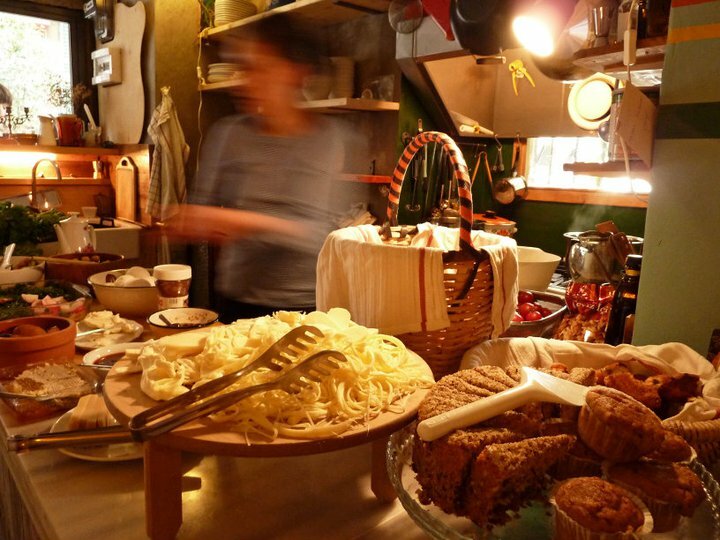 The Swedes fika over coffee, the Irish craic over Guinness, and the Turks chat over çay. For hours. And hours. And hours. 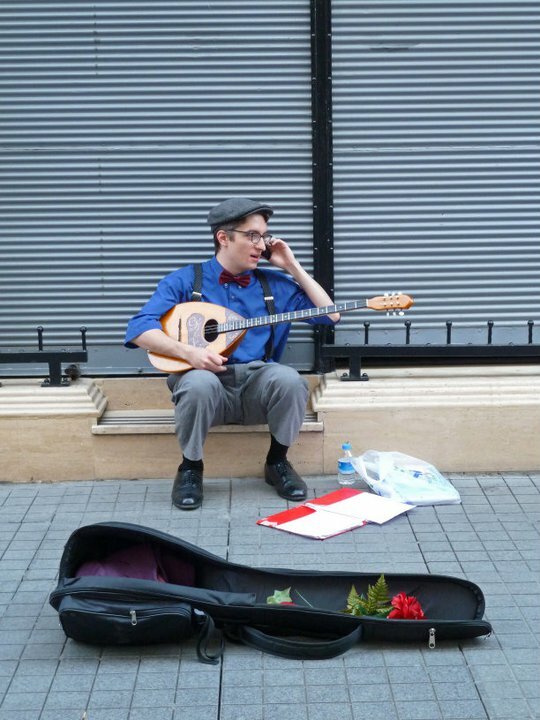 In Cihangir, I wrote postcards and tea’d off while eavesdropping on all the conversations around me (diabolical planning of an underground rave, a heated James Joyce debate, and something in Turkish filled with so much aggro I could only surmise it concerned local soccer rivalries). I strode up Istiklal Caddesi, Istanbul’s main shopping/eating/demonstration/everyone-just-come-out-here stretch, where hanging out is taken to the next level – people filled second, third, fourth floor balconies overlooking the avenue chain-smoking and drinking more çay. This must be how molecules feel – there’s always something or someone propelling you in some direction, whether a force of human nature or life sciences. Here, you’re always on your toes to avoid getting run over by trolleys trundling people up and down the three-kilometer stretch or protesters marching through. 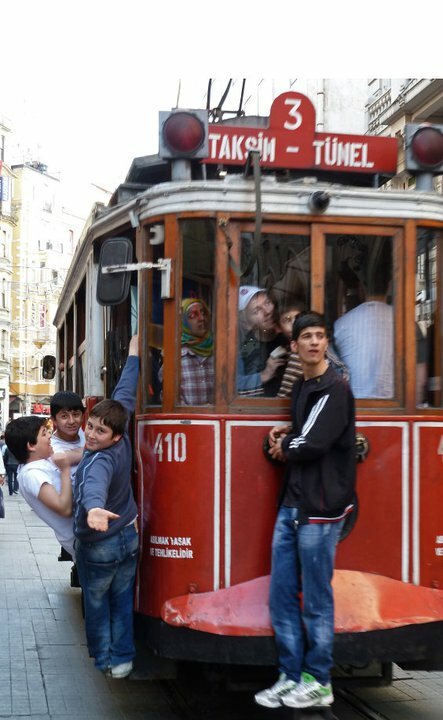 One just can’t be still on Istiklal. In addition to ebbing along with the constant flow of locals, tourists less obnoxious than the cruise ship trippers and expats, the vibrant clatter of activity, electric and eclectic joie de vivre, and surge of progressive hustle culminate in an ideal of no fuddy duddy left behind. And if you’re headed up Istiklal with the old city behind you, each step takes you closer to Taksim Square, the literal intersection of Independence Avenue and the Avenue of the Republic. Symbolically, Taksim Square is no stranger to riots and rallies, congregation central of a society centered on congregation. I had taken an afternoon-long stroll from Sultanahmet to Taksim Square – it could have been about an hour if I hadn’t stopped a million times for balık-ekmek (fish sandwiches), baklava and muhallebi (milk pudding) – and when I glanced over my shoulder, the historical skyline of minarets sprawled over the Seven Hills seemed hazy, a distant memory. In this part of Istanbul, you’re closer to Europe and a New World order. I spent the rest of my days in town in all of these neighborhoods; each time I walked down a street I might have gone down the day before, I see, hear, eat, smell, sense, and learn something new. I’m so glad I crossed that bridge. And I hope the people of Taksim Square defend theirs. Cesur. This entry was posted in Turkey and tagged "taksim square", acik muftak, beyoglu, cihangir, esra senra, galata bridge, galatasaray, istanbul, istiklal, turkey by Desiree. Bookmark the permalink.